The Warriors have made some interesting changes to the squad. Minerva Punjab have announced the squad which has travelled to Tehran, Iran for the preliminary qualifying match of the AFC Champions League. The Warriors will take on Iran’s Saipa Football Club on 12th February and aim to take one step closer to qualifying for Asia’s most prestigious club competition. The I-League defending champions have had a rough campaign in the league so far and are in ninth position, with only 14 points from 16 games. However, they have reshuffled their squad quite a bit throughout the term, to get the perfect combination for their AFC Champions League qualifiers. Minerva have signed and released multiple foreign talents throughout the season. They’ve released the likes of Philip N’Joku, Yu Kuboki, Donatus Edafe, Alexandre Kouassi and Bala Dahir in the campaign. Surprisingly, Lancine Toure has not been selected in the squad, while star forward William Opoku is still nursing an injury suffered in the league. The Warriors have decided to take defender Jorge Caicedo along with new signings Juan Quero, Roland Bilala and former East Bengal star Mahmoud Al Amnah. 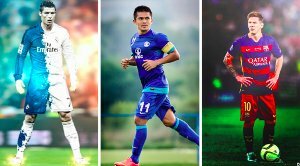 While the Syrian midfielder will fulfil the Asian player quota for the team, Quero, Bilala and Caicedo complete the three foreign players allowed by the competition’s rules and regulations. Ranjit Bajaj’s team have concentrated on picking a young, vibrant squad to take on Saipa FC on Tuesday. Thoiba Singh, who starred for India in the AFC U-16 Championship last year, has been picked along with starlet Makan Winkle Chothe. League regulars like Amandeep Singh, Souvik Das and Aakash Sangwan have also travelled with the squad and are expected to play key roles in their campaign. The Warriors face Saipa FC, who have the reputation of having one of the best youth academies in Iran. They have produced the likes of Karim Ansarifard and Mehdi Torabi, who starred for the country in the recently-concluded AFC Asian Cup. Saipa currently sit in the eighth position in the Persian Gulf Pro League and have won the league only once in the 2006-07 season. If Minerva Punjab can win the tie against Saipa FC, they will then go onto face Al Rayya FC in Qatar on the 19th of February. Winning that tie will then guarantee a place in the AFC Champions League, as Minerva could make history in becoming the first ever Indian side to be part of such an achievement. 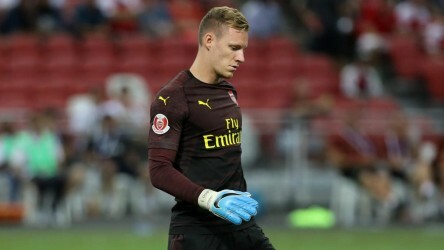 However, a loss in any of the two ties means that the Warriors will then automatically drop down to play in the AFC Cup group stages, along with Indian Super League defending champions Chennaiyin FC. 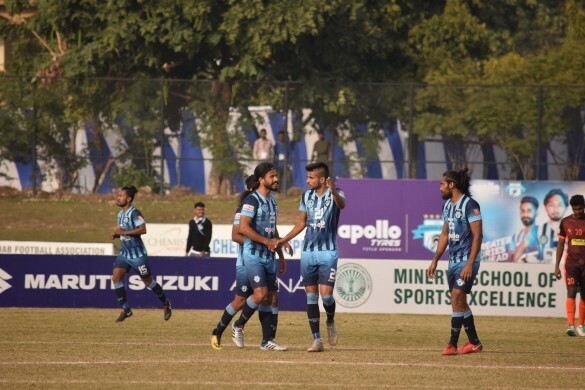 With the hopes of Indian Football on their shoulders, Minerva Punjab looks to show and resolve against the dangerous Iranian Saipa FC on Tuesday. Goalkeepers: Bhaskar Roy, Arshdeep Singh. 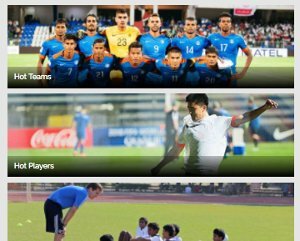 Defenders: Jorge Caicedo, Akashdeep Singh, Souvik Das, Thoiba Singh, Deepak Devrani, Arashpreet Singh. Midfielders: Prabjot Singh, Makan Winkle Chothe, Amandeep Singh, Mahmoud Al Amna, Aakash Sangwan, Saurav Rautella, Juan Quero. Forwards: Roland Bilala, Moinuddin Khan, Dilli Ram Sanyasi.